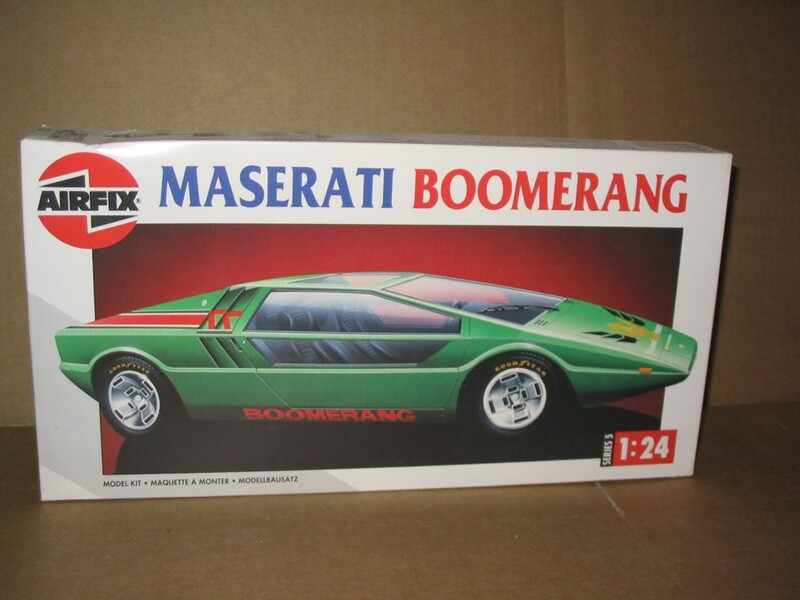 A design that must be one of the most futuristic of all to came from the Italian car industry, the Boomerang is almost the ultimate in the "wedge" concept. This easy-to-build kit has all the excitement of the original including rubber-like tyres, internal detail and a set of colourful decals. Model length 168mm.